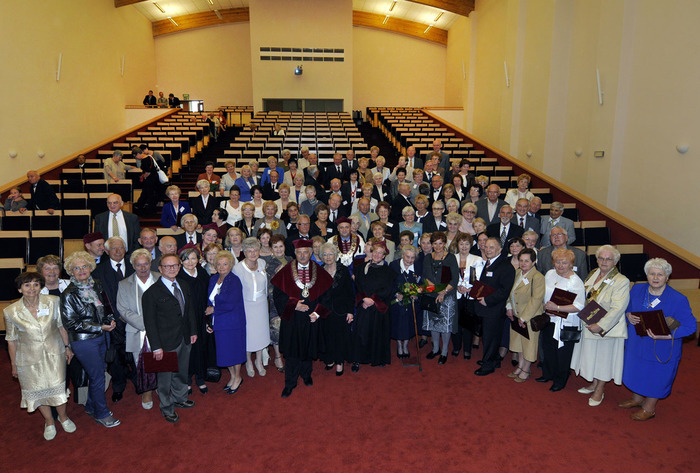 The Association of Graduates of the Medical School in Gdańsk was established in 1994, to mark the 50th anniversary of the School’s founding. The idea of the Alumni Association was initiated by Professor Brunon L. Imieliński, in cooperation with Jerzy Kossak, MD, PhD. Professor Paweł Gałuszka, M.D. was elected the first President of the Association. 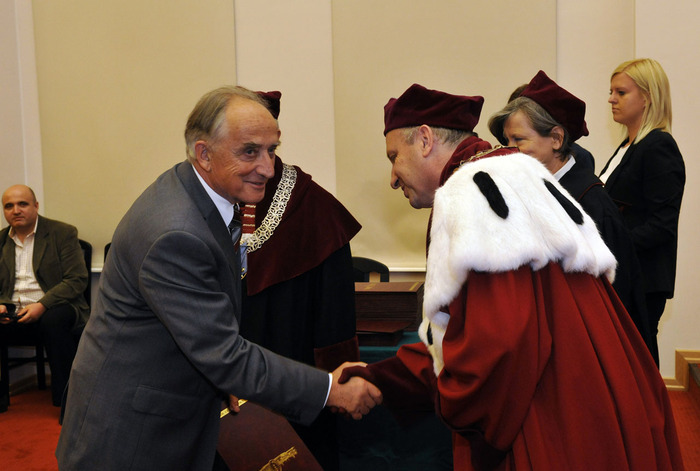 On Professor Gałuszka’s death, Professor Brunon L. Imieliński took over and has been successfully presiding over the association for a few terms of office now. The association management holds regular meetings once a month, except during the holiday break. In order to maintain contact with its members, the association management holds a weekly open house in their office, which is shared with the Seniors’ Club. 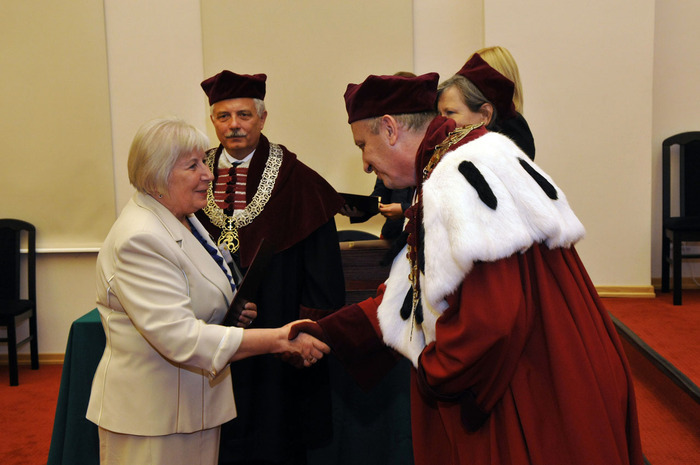 As a result of the major changes in the School in 2009, which also involved the change of the name into the Medical University of Gdańsk, and enhancing the spectrum of faculties offered to students, the association name was changed to the Alumni Association of the Medical University of Gdańsk. At present the association has over 450 registered members. The Alumni Association organizes annual General Meetings for the purpose of preparing the annual report. Every 4 years these General Meetings become general elections. In accordance with the statutory provisions they are also combined with some contemporary lecture on, most frequently, achievements of renowned alumni of the Medical University of Gdańsk. 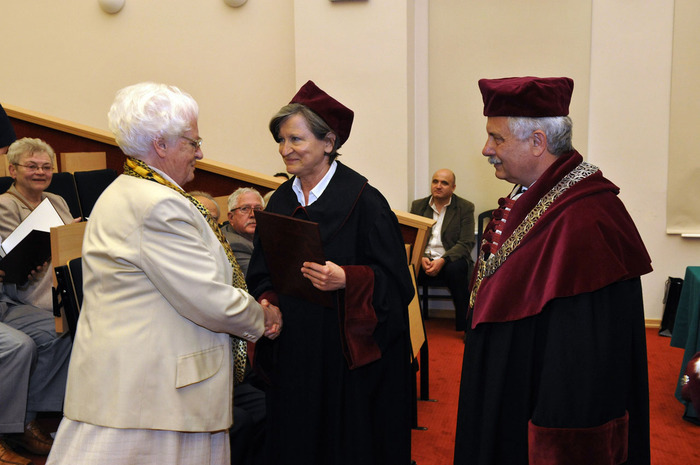 In previous years the laureates of the so called “Polish Nobel Prize” were presented: e.g. Professor Roman Kaliszan, Professor Janusz Limon, laureates of the Scientific Awards of the Minister of Health: Professor Roman Kaliszan and Professor Jacek Jassem, the winner of the Foundation for the Science in the category “The Master” – Professor Krzysztof Narkiewicz, organiser of the 60-th anniversary of the Medical University of Gdańsk, former Rector of MUG Professor Wiesław Makarewicz, Associate Professor Tomasz Zdrojewski, MD PhD, Professor Andrzej Szutowicz, and Olga Krzyżanowska, PhD, a Vice Chancellor of Sejm, the lower house of the Polish Parliament, Władysław Szkop, PhD – MP of the Pomorskie Region, Bogdan Borusewicz, a Vice Chancellor of the Pomorskie Region or Krzysztof Bukiel, MD, President of the Polish Physicians Society and other invited lecturers. The Alumni Association organises and prepares many jubilee events, like golden jubilee diploma renewals for Medical, Dentistry, Pharmacy and Health Sciences Faculty graduates. Management representatives participate in diploma ceremonies held in particular faculties and fields of study and invite the graduates to join the Alumni Association. The president or departmental vice-presidents always participate in these events and deliver a congratulatory address. Owing to the fact that Medical Faculty has opened the English Division for foreign students, the association has been undertaking efforts to attract such students to join our association. For this purpose we have prepared an English version of our website and translated the main article and documents into English. The president of the Alumni Association represents it during all official University events, such as the matriculation ceremony, the honorary doctorates award ceremony etc.